Kind of rewarding ... well more than just kind of actually. 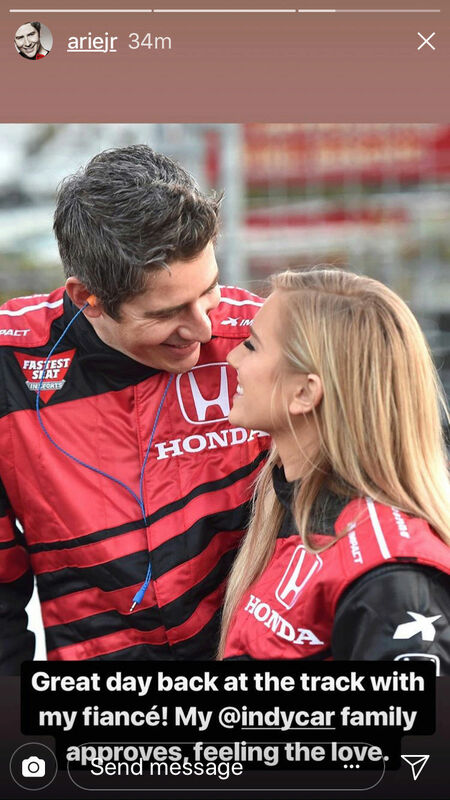 I've had this mental image of Lauren and Arie dressed in matching driver suits at one of his races or at a race event for quite some time. I always imagined it would look just like the above images so I'm not let down at all. The bigger picture is that I think Lauren is uniquely able to share that part of Arie's life which means so much to him. Not every woman could do that and be happy doing it but I think Lauren is someone who can. @Mommyof2 wrote: Constantly touching her. Lauren always had his heart. awww their chemistry on the show was truly special - always follow your heart, even if the route there is rocky. 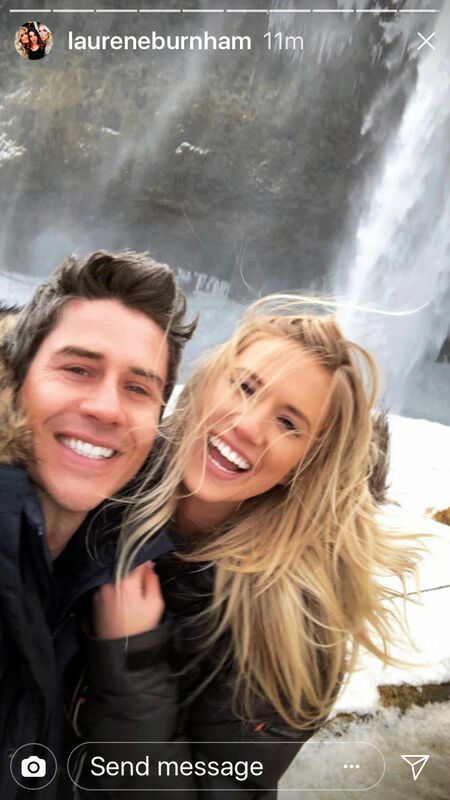 @everglow wrote: Hey guys, I stumbled upon this schweet little recap video of Arie showing Lauren his world and taking her on a thrill ride while I was lost in the whirlpool of the Internet. Oh, and this search was more deliberate but I found this as well. I feel the love in all the little exchanges they have with their eyes. And Arie seems to always be naturally and unfailingly re-affirming his love for Lauren and making her feel safe with physical touch. 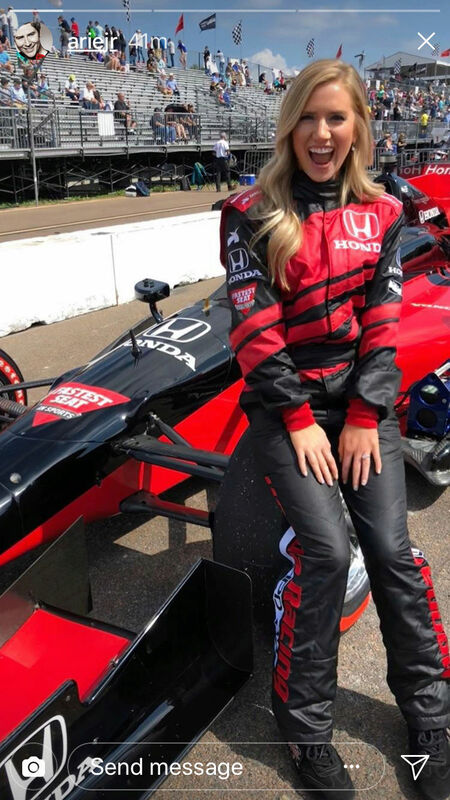 Burnham, 26, began her race day by riding in the Honda two-seat car, billed as "the fastest seat in sports," around the St. Petersburg road course. Luyendyk served as her driver. "My first ride was really, really fun," Burnham said. "I was screaming the whole time. I was really scared going into it, but now I feel a lot better." Before Burnham competed on "The Bachelor," she met Luyendyk last summer when he drove in a Stadium Super Trucks race in Texas. "It was my first race ever," she said. 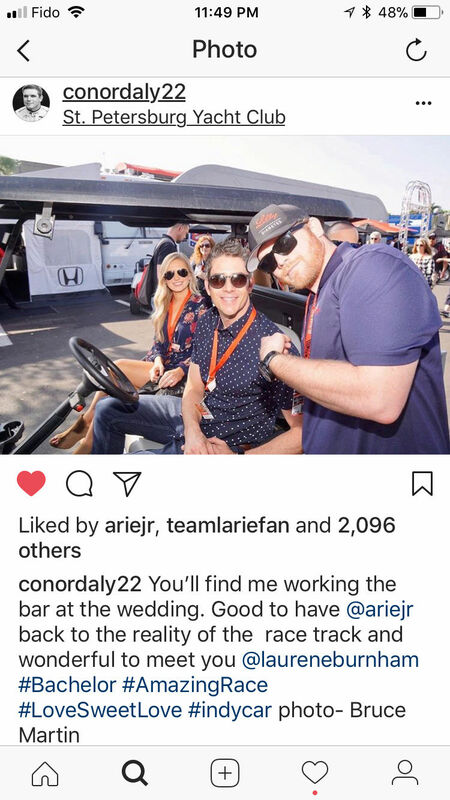 "Arie just happened to be there working on his car. I recognized him because I had seen him on (the 2012 season of 'The Bachelorette'). I asked him to take a picture." "Kind of crazy," Luyendyk said. "Almost a little like destiny." 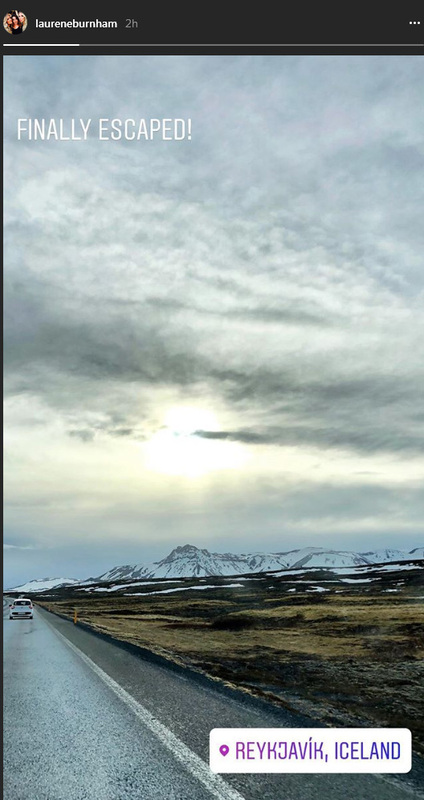 @Mommyof2 wrote: They are in Iceland. Lauren just posted an IG story. Good for them! Looks beautiful there! I have to agree with your Mom, Arie. Extra interview. Something about a fall wedding? @littlereddress wrote: No more tv including DWTS for Arie. 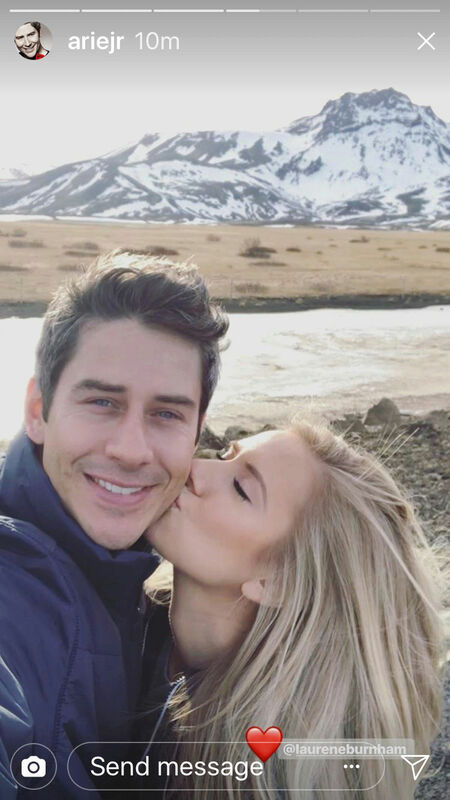 Whatever happens with these two I feel like Arie has his heart in the right place and appears to be following Sean's advice to focus on his relationship and not shiny things. @littlereddress wrote: The full People interview. He really goes in depth here. The ball was about to drop on New Year's and Lauren was on his mind. @everglow wrote: Aww this pic is the cutest of the cute variety. 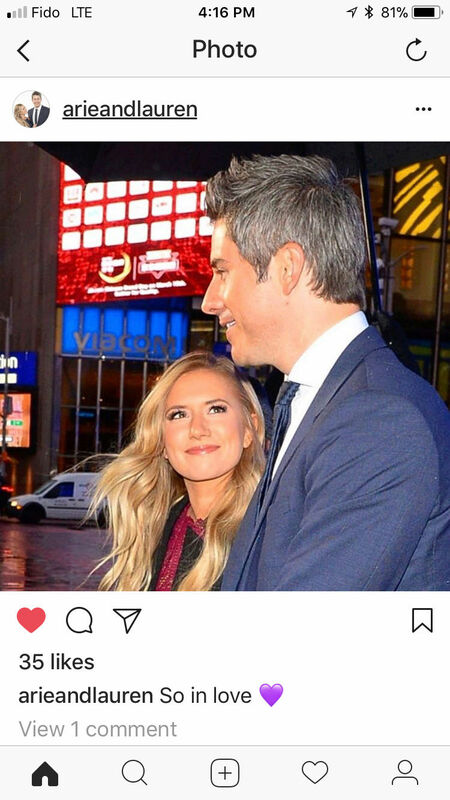 Arie looking up at Lauren with eyes infinitely full of love. "Your eyes tell the whole story" is right. They look great in winter clothes - those ladies long jackets really suit Arie! Sounds like an August wedding. Also, if they get married and divorced, that’s on them. It won’t affect anybody but them. It’s their choices. I personally would never wish or “predict” divorce on anyone but that’s just me. Why waste energy hoping for bad things for others, especially reality TV contestants you don’t even know? A few pics from their first public date - cool that they got to tour the kitchen and meet the chef!